Hiya guys. Happy Monday and all that jazz. It seems like mother nature has finally decided to be kind to us here in Jersey. After an awful week, the weekend was full of nothing but sunshine and warm weather. It was definitely a fantastic change of pace and much needed after all that snow. Of course, I needed my nails to be a reflection on my happy mood so I decided to create some delicious cookie nail art! Nom, nom, nom! Like seriously, who doesn't love chocolate chip cookies?! Growing up, Dad and I would always share cookies and milk before bedtime. These definitely reminded me of good times with my crazy old man. I'm so thrilled to tell you guys I finally created my YouTube Channel! 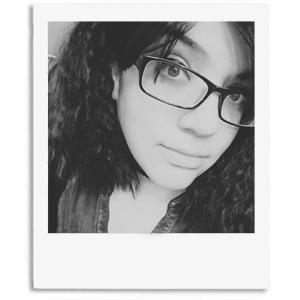 You can find my channel here: https://www.youtube.com/c/RoselynnMercedes787. And yes, I'll finally be uploading full length videos so if you have any suggestions, please let me know down in the comments. The first video I currently have up is of this mani, so be sure to check it out and leave me a thumbs up if you like it. I don't think I have been this excited about one of my nail art pieces in a long while. Perhaps it was the source materiel, eh? Haha. I ended up rocking this mani the entire weekend, which as you know for a polish addict that's a lifetime. What's the longest you've worn a mani for? Anyway guys, that's it for today. I'll have a short fifteen second clip on Instagram @roselynn787 later this afternoon and the full length video is currently already up on YouTube. Let me know what you think, I'm looking forward to seeing your feedback! It loks yummy! Great inspiration. Thanks. I cannot go a day without some cookies lol. Thanks. I definitely want to do more fun art like this in the future. Ohhhhhhhhh I need this! Awesome! I would love one of those cookies now!! Such an awesome mani! Cookies all day, every day haha. Thanks a lot. Thank you! I do have to say it's my favorite mani of mine in a long while. All I could think of the second I read "How to cookie" is "I know how to cookie! Stuff your face with cookies! I want cookies!" and well.. the nailart only made that feeling stronger :D.
How crazy cute is this. I would love to do this to my nails. It looks easy enough too. Thanks for sharing this tip. That is SO CUTE! I'm a living cookie monster, so I love this. I really thought they were Jamberry or something! You are so talented - and my boys would love to see my nails like this! Wow these are incredible! I saw them and swore they were stickers or something. Great job and way too cute! I'm glad you had a good weekend! These turned out awesome! See what a little good weather can do for you?? nom nom nom cookiessss! haha ilove this so much! that blue is so pretty! Thank you! I swear all I could think as I was doing this mani was the cookie monster lol. Oh wow, what a yummy design. It might not work for me as I would bite my nail lol. Kidding aside, that looks gorgeous! Such a cute design! <3 I love that shade of blue! I love this design! The little cookies are just too adorable. What a fun design to try out! I love the backyard picnic feel of this mani! It's fabulous! OMG - those are so cute! I love them! Aaah, so cute! I bet my kids would love my nails done like this! SO cute! 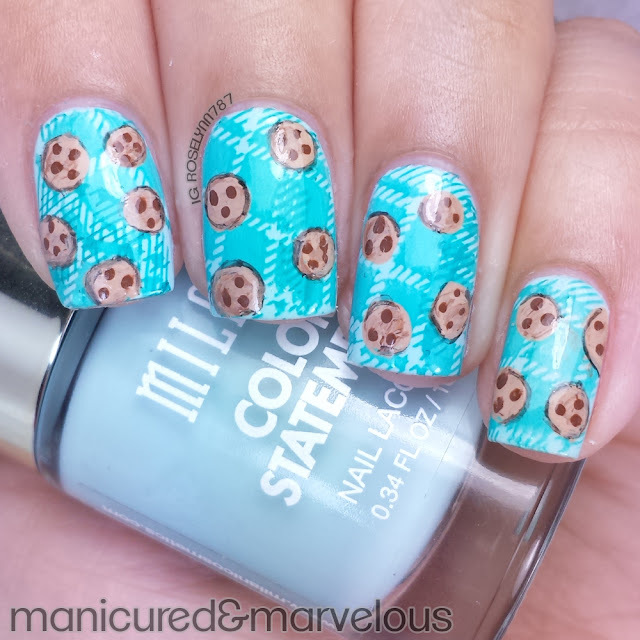 I love the little cookies on the nails! My nails are so short that I rarely take the time to do any type of art. However, that is utterly adorable! How perfect are those cookie nails! I would love to have it on mine too! I love love love how these turned out! Those cookies are adorable! 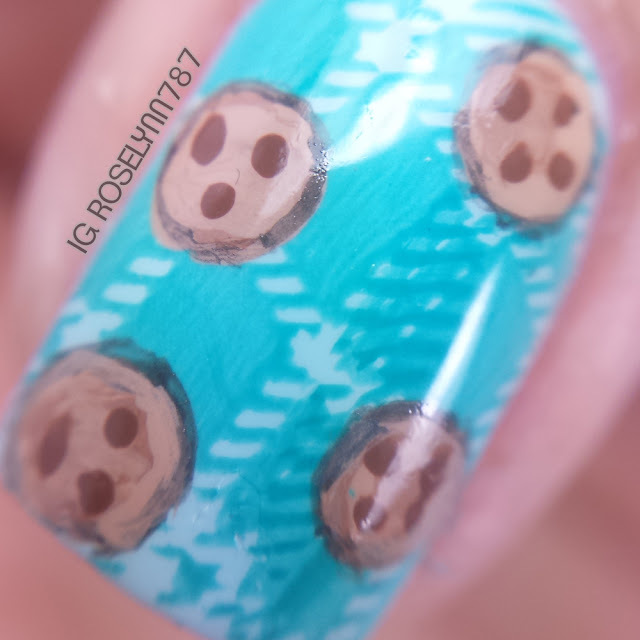 Cookie nail art looks so cute. Congrats on your YouTube channel. 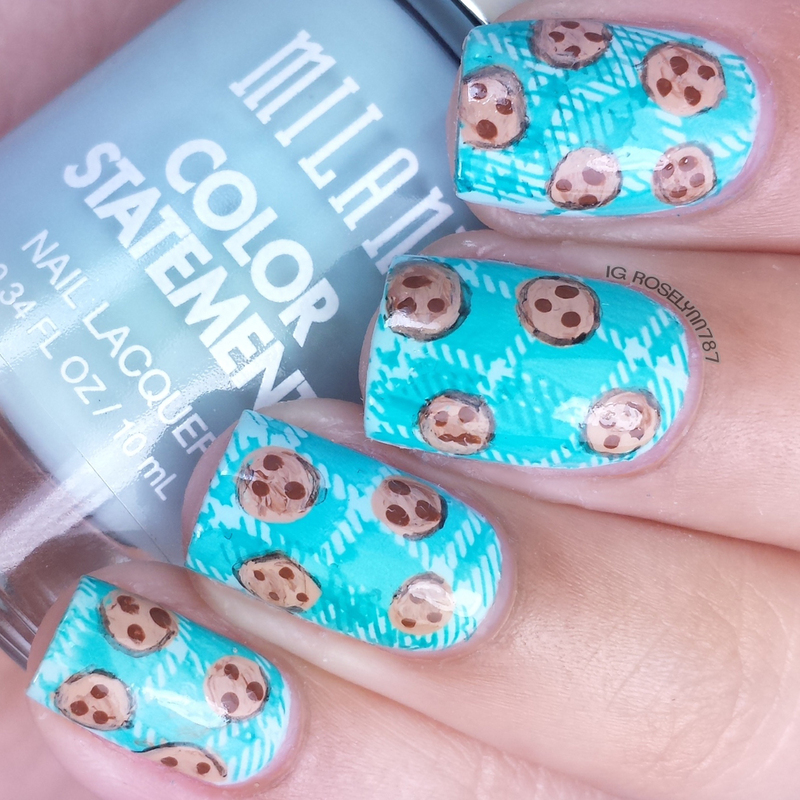 Aww, your cookie nails look pretty. They don't look easy-to-do. Lol. I would love to have that on mine one of these days - someone's got to help me with it. I don't bite my nails... but this might change that ;) Only kidding, haha! Those are cute though! SERIOUSLY...you are killing me with the cuteness of this design! I love how creative you are at creating designs for nails,,,I would have NEVER thought of this!I really love the blue background with the white, very nice! Thanks for sharing! I love the look of this! Such a cute and fun design. Aww I love your tiny cookies! So super cute!! What a steady hand! I would love to recreate these. They are SO cute! Little, itty bitty blue cookies...I love it! These cookies are so cute! And now I want cookies. Yay on starting a new youtube. I'll be sure to follow you!! ME Like Cookie (in Cookie Monster voice). So adorable! Wow, great job! These are seriously too cute! OMG! I absolutely love the design! So cool, I'll have to try this out myself. Very nice nails! Linking up with Tiffany for LBFBH. Have a great week. Great, now I crave cookies. Thanks Rose. 😒 But seriously, this is adorable! You are amazing at nail art!!! I love this design, what a fun way to have your nails! Those are adorable! I wish I had nails to do designs with but I bite them too much. That is definitely pretty and so creative! My great niece loves nail art but I haven't seen one like that yet. Super cute! I love the background...it's the perfect fit for cookies. AAAAHHHH! This is ADORABLE!!!!!! I love the little cookies! This totally makes me think of Cookie Monster, haha!!! I love this. It has a fun, retro feel, and I want to do the same thing with green plaid and shamrocks! I can't keep nail polish on long enough to do this. My hands are always in water and cleaning. How stinking cute are these! I love them! Absolutely adorable. Thank you for sharing. OMG! I want those nails! Sooo cute! OMG this is just super cute - I love it! I wish I could make those. How adorable! I bet you get lots of compliments on your fab cookie nails! Ha! Omg how fun and adorable are your nails?!?! Those would be so fun to rock at a kiddo party!!! Oooh now I want cookies. They're cute. How cute!!!! I have had a ridiculous case of sweet tooth lately so these would fit perfectly with my life right now, haha ;) Thanks for sharing!